I’m sharing a little review and giveaway to add some sunshine to possible November blahs! The lucky winner will win the new Moleskin Evernote Smart Notebook! (Canadian readers, enter the postal code 90210 to view the link. Hee hee… 90210… I’m hoping you know what I mean). What’s special about this Moleskin Evernote Smart notebook? 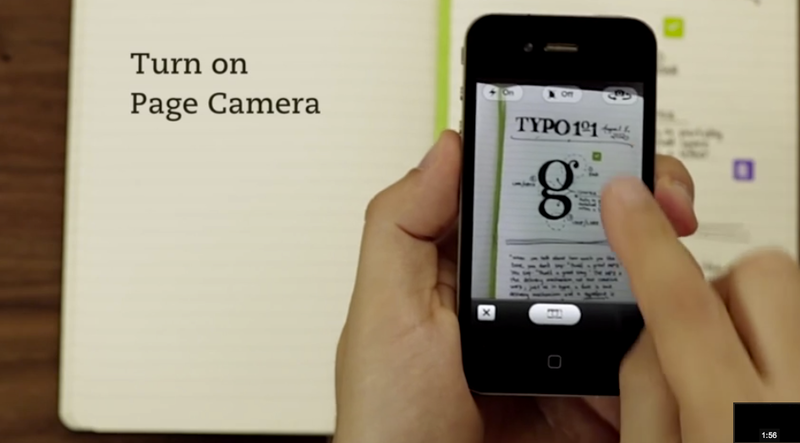 Write, sketch, or draw in it and take a photo of any page in this book with the Evernote Page Camera and it instantly becomes digital so that you can save it, search it and share it with the world. Once in Evernote, you can search for your handwritten notes by keyword, tag, or just visually browse. I’m thinking it’ll be perfect for my recipe notes! I’ll be able to easily transfer my scribbles into my tablet, iphone and laptop, saving myself time and ensuring I never lose them! Another idea – doodled cookie ideas just became easier to save and edit! Draw an idea in the Moleskin notebook, take a photo of it and have instant digital copies on all devices. Also perfect for further digital editing; like playing around with colors and designs. … which I love it for. No printing required, handy, vibrant visuals and easy to read. If you’re as clumsy as I am, you’ll feel better knowing that the screen is scratch resistant too! 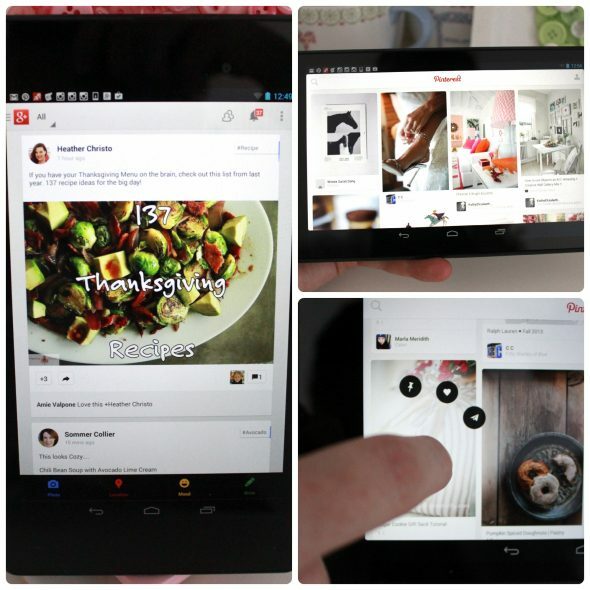 I love it for browsing recipes on line, and, a little perk, I love Pinterest on the tablet too… it fits nicely into my hand, and has a really neat pinning option where you can hold your finger down on a photo you’re interested in, and easily swipe your finger to pin, like or share. This one I haven’t tried out yet, but have seen the idea mentioned in my comment sections as an alternative to the Kopykake projector – using an App to help draw (trace) onto cookies. 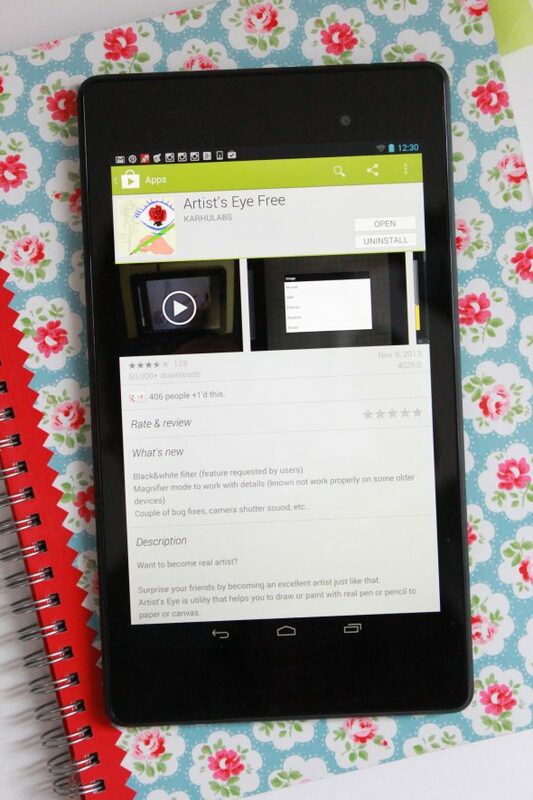 The Google Nexus 7 tablet is lightweight and the perfect size for it, and I’ve downloaded the free drawing App, Artist’s Eye. Will update you on that one. If you’ve already tried it, would love to hear about your experience in the comment section. 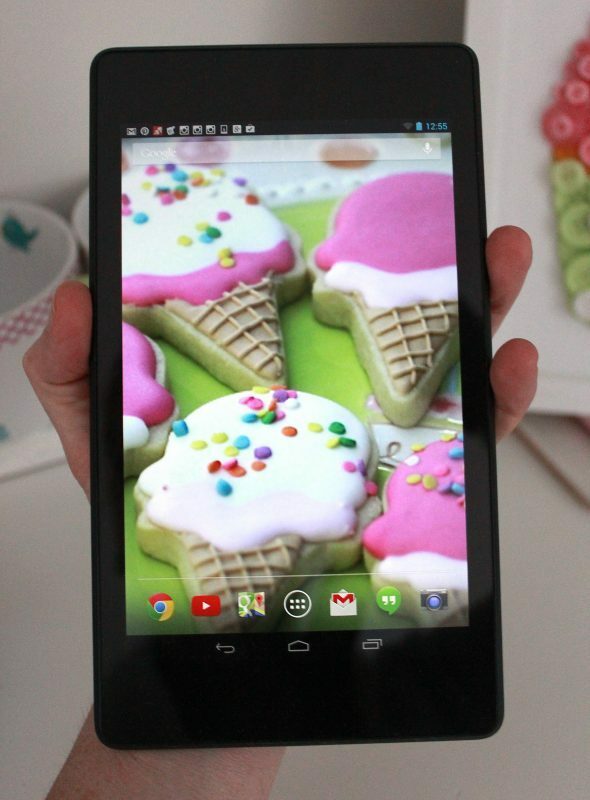 I can definitely tell you – the tablet has already become my favorite device. It’s much easier to carry around than my laptop, and is useful in many more ways than I’ve pictured here (browsing magazines, books, watching movies, listening to music and e-books etc.). I’ve even already bought a case which fits the tablet and Moleskin notebook perfectly, so that I can pop it in my purse and bring it everywhere I go. 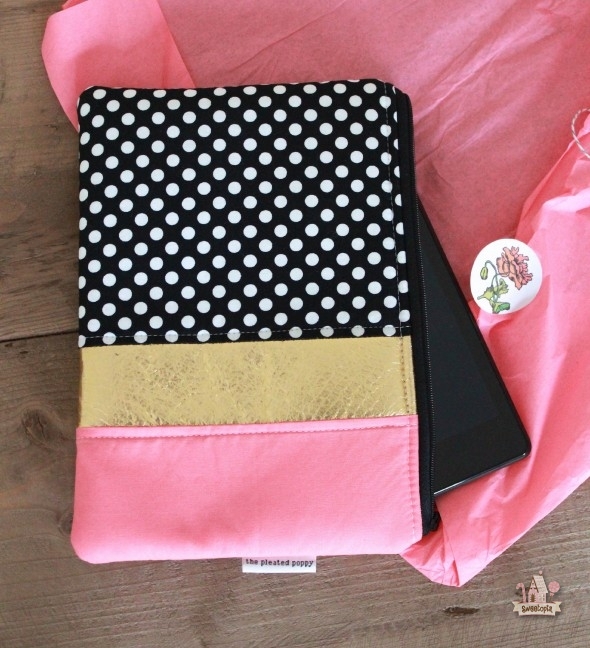 It’s super cute and handmade by Lindsey Cheney of The Pleated Poppy. You can check out her shop here. She also has awesome posts on home decor, crafting tutorials and fashion. 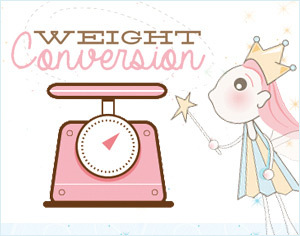 One of my favorite blogs! Moleskin Evernote Smart Notebook Giveaway! CLOSED! 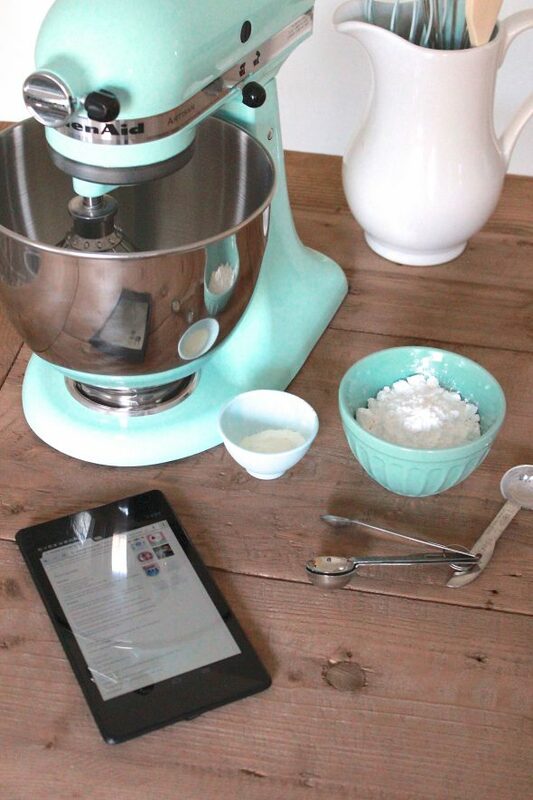 As you can probably tell, the tablet and notebook have already become the perfect tools for this baking obsessed girl. I’m so happy to be able to offer this giveaway for a very own Moleskin Evernote Smart Notebook of your own! Congrats to comment #76, Lindsay for winning! The giveaway is open to U.S. and Canadian residents. (Available in the countries Staples stores are located). Staples has sponsored this giveaway (thank you! ), but all opinions are my own. The contest closes at 7:00 pm on Sunday, November 17th, 2013. Please read all the contest entry details etc. below. How to Enter: GIVEAWAY CLOSED! 1. Leave a comment below letting me know whether or not you’ve heard of the Moleskin Evernote Smart Notebook yet. 2. Share this post on Facebook and leave a separate comment here saying you’ve done so. 3. 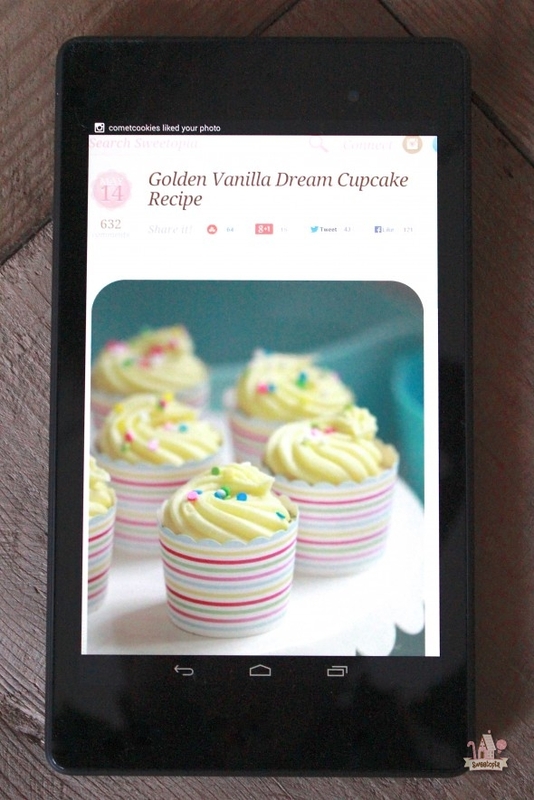 Share the following tweet, I’d love to win a Moleskin Evernote Smart Notebook on @sweetopia ! @Staples http://bit.ly/1bEJJ7R and leave a separate comment here saying you’ve done so. 4. Mention this giveaway on Pinterest and leave a separate comment here saying you’ve done so. I have never heard of the Moleskin Evernote Smart Notebook. Truly, that is the 1st time I heard of it. Would love to win it though! I have read a review for it somewhere. I have never heard of the Moleskin Evernote Smart Notebook, but would love to get to know it well. Thank you for the offer. I shared this on Twitter as well. Sadly, this is the first I’ve heard of it. But, it sounds amazing! This is the first time I’ve heard of it and will be adding it to the Christmas Wish List for Santa, that is if I dont win of course! No, I have not heard of this. Looks great! I’d love one. This is the first time that I’ve heard of the Moleskin Evernote Smart Notebook, but I’m very interested and plan to find out more info about it! I would love to win this!! I pinned and shared on Pinterest! Never heard of the Moleskin Evernote Smart notebook but always love trying new things so thanks for the chance to win one! 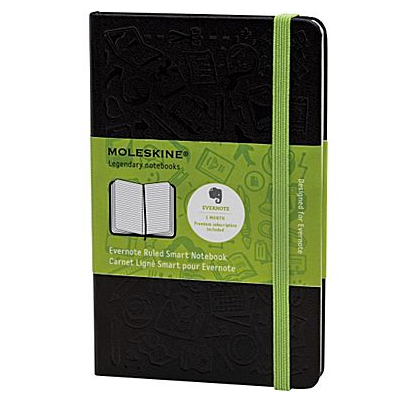 I have never heard of the moleskin Evernote but I would love it! I had not heard of the Moleskin Evernote Smart Notebook. I’ve heard of the Moleskin Evernote Smart Notebook. I haven’t heard of the Moleskin Evernote Smart Notebook yet. I have not heard of the Moleskin Evernote Smart Notebook but it sounds very interesting! I have heard of the Moleskin Evernote Smart Notebook!